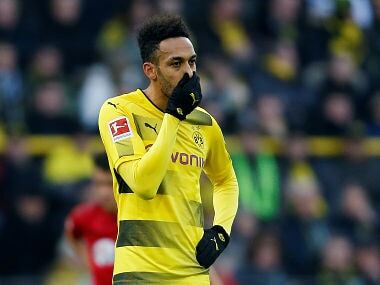 Dortmund: German authorities criticised Borussia Dortmund player Pierre-Emerick Aubameyang for failing to testify Monday in a trial over the bomb attack targeting the team last year. Aubameyang, who is reportedly closing in on a lucrative switch to Arsenal, was due to speak at the trial of the alleged attacker, German-Russian man Sergei Wenergold, but did not show up, citing illness. 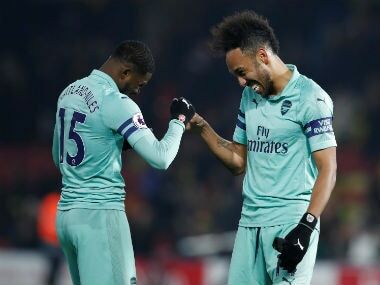 Prosecutor Carsten Dombert called the sick note presented by the Aubameyang's lawyer "absolutely feeble", AFP's sports news arm SID reported. "I think the justice system shouldn't just accept this," he said. Presiding judge Peter Windgaetter said he agreed: "I see it in just the same way." 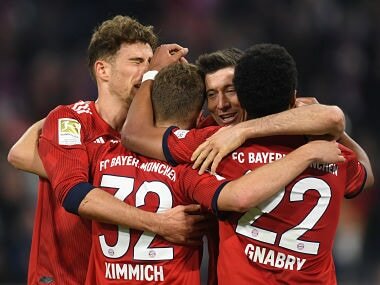 Bild said Aubameyang could face a €10,000 fine from the court. Wenergold has admitted to remotely setting off three explosions in an elaborate bid last April to make a fortune on the stock market. Earlier, Spanish defender Marc Bartra told the court of his mortal fear when bombs hit his Borussia Dortmund bus in an attack which he said "changed my life". 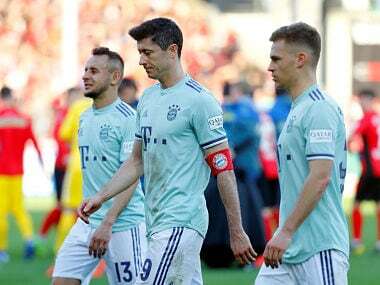 Bartra, who suffered a fractured wrist in the attack, said he had had nightmares since the traumatic event, which left him in the hospital for five "terrible" days. 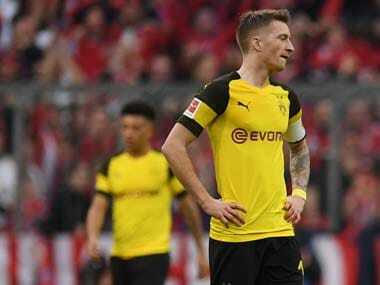 "I still haven't fully got over the attack and continue to suffer," the player said in a written statement read at the hearing in Dortmund. "I suffered mortal fear and was afraid I would never see my family again." The triple blast shattered the team bus's windows, with a police officer also suffering inner ear damage. Prosecutors say the three fragmentation bombs each contained up to a kilogram of a hydrogen peroxide mixture and around 65 cigarette-sized metal bolts, one of which ended up lodged in Bartra's headrest. They charge that Wenergold had sought to profit from an anticipated plunge in the club's stock market value by cashing in on so-called put options, essentially bets on a falling share price. Bartra recounted that straight after the blasts, he heard a ringing in his ears while the other passengers screamed. "I feared there would be more attacks," he said. "My arm was bleeding, I was dizzy." With the help of an interpreter, he spoke in the hearing of his nightmares and later the sense of "panic" at having to face the attacker in court. "The attack changed my life," he said. "I'm happy to be alive." After the bombing, police initially suspected a jihadist attack, but then arrested Wenergold 10 days later. The 28-year-old electrical technician has been charged with 28 counts of attempted murder as well as setting off explosions and causing serious bodily harm. He had allegedly remotely set off the three explosive devices hidden in a hedge as the bus was leaving the team hotel for a Champions League match. He was staying in the same Dortmund hotel as the players, had a view of where the bombs went off and had bought the put options on the team's shares on the day of the attack, prosecutors said. The defendant reportedly drew attention at the hotel, first by insisting on a window room facing the front and then, in the chaos after the blasts, by calmly walking into its restaurant to order a steak. Wenergold faces life in prison if found guilty, although in Germany parole is usually granted after 15 years.